I was thinking that what is there to do in Fair Play this time of year and I always answer immediately - Christmas Trees. Of course now is the time to get in gear and get up here to be above the fog, yet below the snow. If you want snow it's just minutes up the hill. For that special Christmas splendor for the house you need to visit one of the Christmas Tree Farms in Fair Play. The Davis Christmas Tree Farm is right in the heart of Fair Play at 7600 Fair Play Rd. They have White Fir, Doug Fir, Noble Fir, Sequoia and Cedar to pick from. Trees from 3ft. to 50ft. are ready for you to cut and take home. You want a wreath, they got 'em. If you want a Charlie Brown Tree they have those too. To know what they have right now may not be that important, as the fun trip up to Fair Play is worth the trip itself. You just have to be here when they are: weekends 9am to dark and weekdays by appointments. Another great place to get your special Christmas tree is Silver Forest Tree Farm at 4041 Rontree Ln., just off Fair Play Rd. next to the Bluebird Haven Iris Garden. They have White Fir, Doug Fir, Red Fir, and Scotch Pine. Good roads get you to where there will be easy walking trails through the trees, picnic area, coffee, "kiddie treats" and boughs. Open to assist you with your ready to cut tree daily 9 -4. If you need directions call them at 530-620-6261. 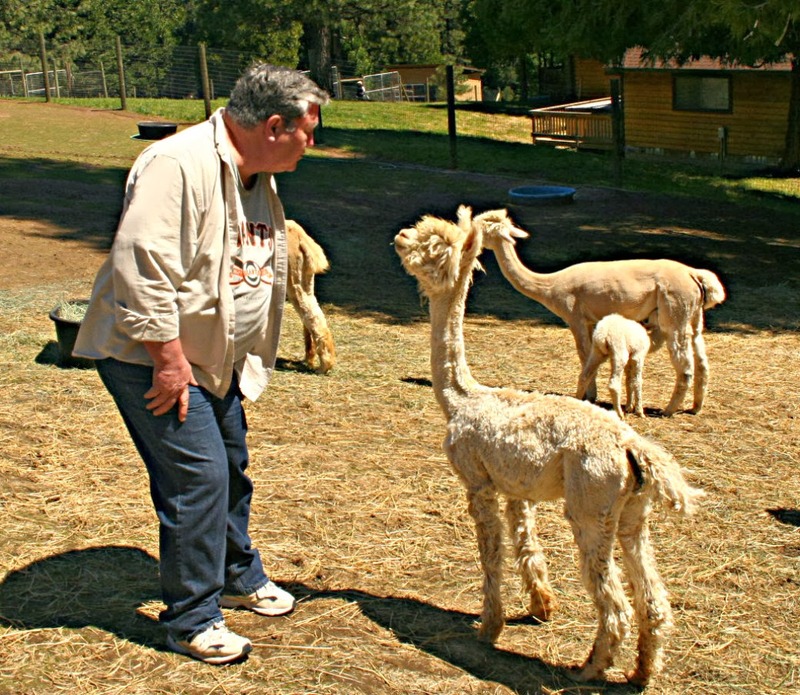 The Christmas Tree Farms of El Dorado County have a long tradition of giving Merry Christmas a meaningful adventure into the foothills. For many years families have started their Christmas Season with their trek to find that perfect tree for their home. The Christmas Tree Farm Assn has over 30 growers so you have a variety of places to shop and cut your tree. female at Alpacas of El Dorado. 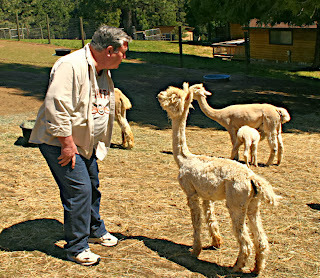 Christmas Trees, Alpacas and Fair Play will make a wonderful outing for the little ones and the big kids can have fun being a lumberjack and then an Alpaca rancher. Hope you enjoy your day in Fair Play. What is in Fair Play? I was thinking that once you found Fair Play and got here you'd ask, "What is there to do in Fair Play?" Maybe you'd ask that question before you decided to come to Fair Play. I know the area is not San Francisco with all it's metropolitan happenings, but there are places to see and things to do. I'll share some of our paradise now and more at a later time. 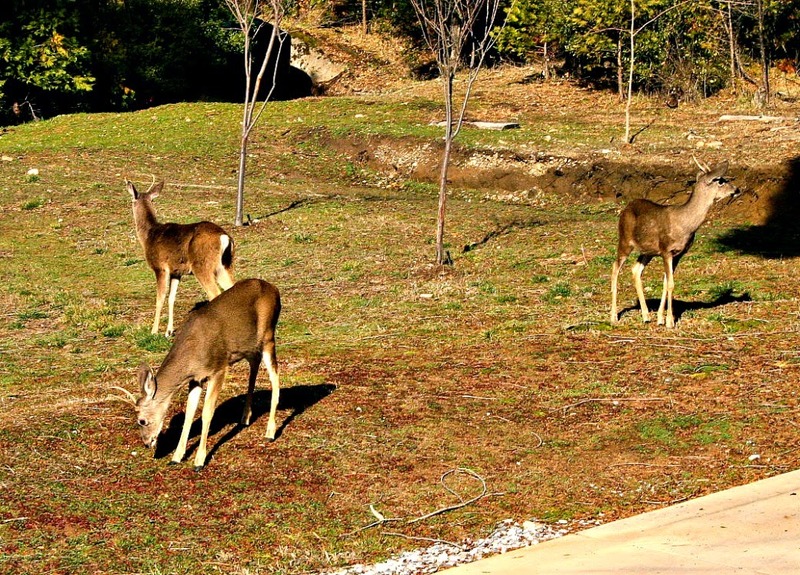 These young bucks fear no man, woman or child. They know they are safe at Lucinda's Country Inn. 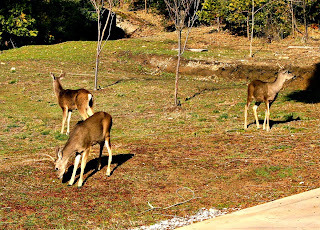 These guys are just a small sampling of the wildlife just outside the windows at the Inn. If you want to taste some of the best wine in California, just 11/2 miles from Lucinda's Country Inn is Windwalker Winery. 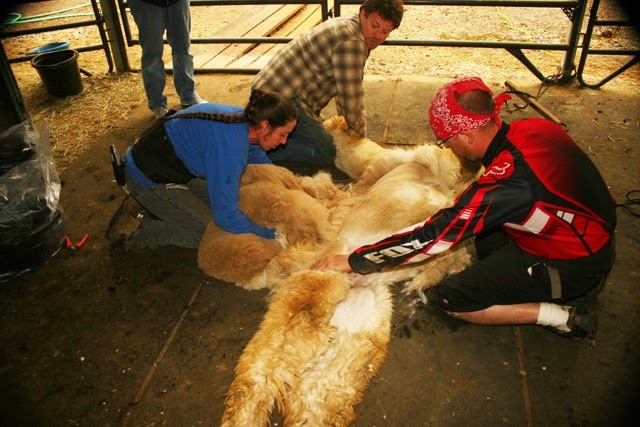 Their 2008 Primitivo, called Shady Lady, won the California State Fair Golden Bear Award. The Shady Lady is gone , but other excellent wine by the same winemaker, Dominic Mantei, is available every day, 11-5. For those of you who don't know about the Golden Bear let me digress and explain. You know you found what you were looking for when you see this sign. Each year the California State Fair has a wine judging. Wines from all over are judged and awarded a whole library full of descriptive awards from Bronze up to Double Gold Medals. The wines are judged by the region, by the variety of wine (by class) and the best of the best of each of those categories are judged to decide which ones merit special recognition. The highest honor any wine can be given is the best Red or White in the competition. Windwalker Vineyards & Winery was selected as the Best Red and given the Golden Bear as the best Red in all of California for 2011. 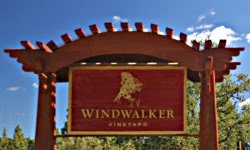 To go along with that distinction, Windwalker was rated the third best winery in California. Not bad for the first ever Golden Bear given to a foothill winery. This last State Fair Windwalker was given the distinction of having the best Cabernet Franc in California. Dominic appears to know what he is doing, because he's doing it right. but its focal point is the panoramic view. 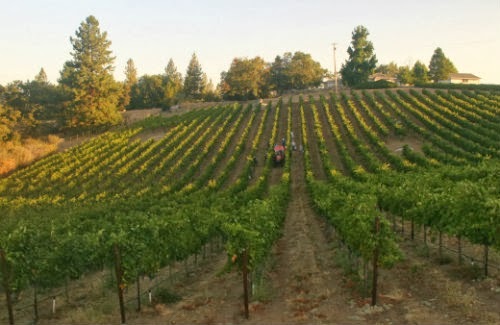 Skinner Vineyards has a long legacy in El Dorado County. The first Skinner vines were planted in 1861 in the Rescue area of El Dorado County (I'll write a lot more about El Dorado County's rich history in another post.). Those vines still produce some excellent old vine grapes ultra rich in flavor. 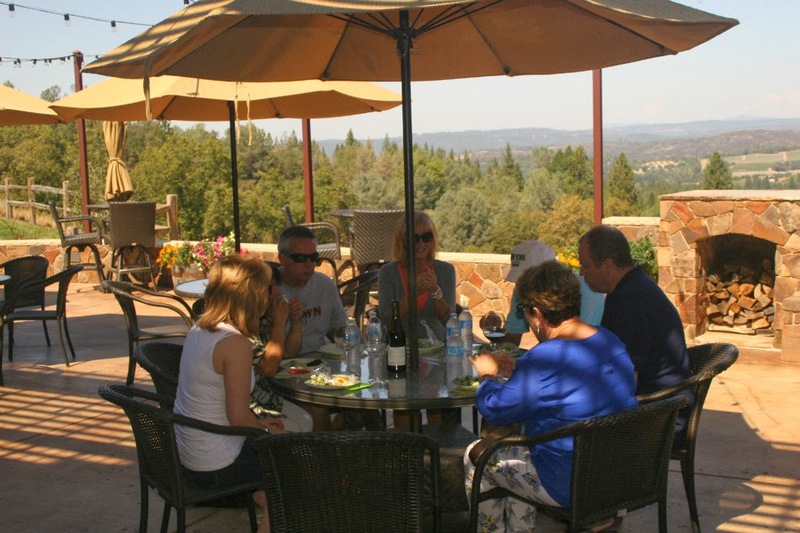 The winery is noted for it spectacular view and extraordinary rock work that makes the multilevel patio just right for a small picnic or a large party. There is an outdoor kitchen they use for special events and on some days they turn on the widescreen TV for football games or other shows. Enjoy the spectacular view and fine wines Thursday - Monday 11-5. This group of characters from Lucinda's Country Inn's Murder in Fair Play - The MOB Connection are enjoying their lunch on Skinner's lower patio; while trying to solve the "who dunit." So I don't take up too much space, let's just let it suffice to say there is much more to do and see in Fair Play. I'll let you know what and where. Where in the World is Fair Play, CA? I was thinking, if I didn’t live here in Fair Play, CA would I have a clue as to where it was? Probably not. Fortunately for my wife, Lucinda, & I we were very young when we discovered Fair Play. There were no wineries, no restaurants, and very few things were out here. We used to do the fun car rally circuit in Northern California back in the late sixties when our son was real small and he could entertain himself by playing in the back seat of our 1960 Corvair, after he out grew the folding car bed. We did get newer and different cars during the rally days, but we continued to let our son play untethered in the back seat. Somehow he managed to survive the ordeal without injuries or too much trauma to his psyche. Soon we added to our family, just after we got a much better car – a 1968 Camaro. It was best suited for two, but our 3 year old son had fun in the back seat, scampering and jumping around. His little sister soon cramped his play room so we had to abandon the Camaro for an Opel station wagon. That’s enough about family history. I’ll get back to the point of where in the world is Fair Play, CA? Americans don’t need a passport, but they do need a driver’s license. There are no airports. There is no transit system or taxis in Fair Play. You get there over hills, through the woods, down the canyons and up the other sides. In other words Fair Play, CA is in the middle of God’s Country. If you Google Map Fair Play in satellite it shows lots of trees and few roads. Yep, that means you’re looking at the right spot on the map. Since Lucinda & I did our playing in Fair Play in by gone years, there have been many changes. 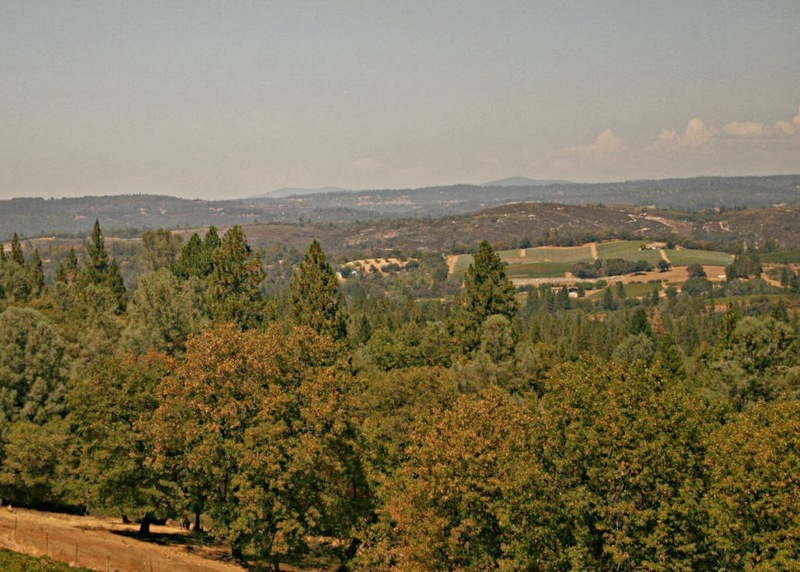 The most obvious are the vineyards and wineries scattered around South El Dorado County. Another way to look at it is from the Amador County side. 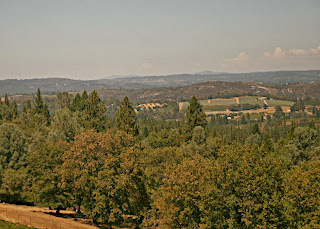 The Amador Wine Region was an up and coming area many years before Fair Play, yet it is just 10 miles to the Southwest. So physically Fair Play is between Placerville and Plymouth. And still most people have a new question; where in the world are Placerville and Plymouth? Lucinda & I live in Fair Play because it is paradise, not because it is easy to find or world renowned. Lucinda’s Country Inn and the 30 wineries are helping the world find Fair Play. 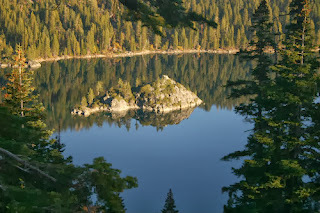 But the best way to find Fair Play is to look at your map and find Lake Tahoe. Then follow highway 50 toward Sacramento. About 40 miles west down the hill is Pollock Pines at the Sly Park exit off of 50. Take that and stay on Sly Park Rd. for about 15 miles and turn left onto Mt. Aukum Rd., at the corner where Holiday Market and the Pizza Factory are. You need to go through the 4 way stop about 8 miles after your turn. Once through the stop and 3 miles down the road turn left at Gray’s Mart, our store and gas station, onto Fair Play Rd. You made it to Fair Play. These directions are different than what we all give to people when they are driving around here. We all say go to the stop sign and turn, then at the next sign, about 15 miles or so down the road at the big red barn in the middle of the small vineyard on your left take the last driveway before the yellow house. I give you these directions somewhat is jest, but Fair Play is in the heart of the California Gold Country, rich with Gold Rush history and folklore. The 49ers of the Gold Rush era didn’t make much money by finding gold lying around the creeks and rivers. In fact, even with the Placer method of mining didn’t yield much gold; most of the 49ers went home broke and broken. True, some, a very few struck it rich. It was the mercantile owners, the lumber mills and the shipping companies that made the money. on the lake. We've never seen the water so still. Well, that’s how you find Fair Play. Why would you want to find Fair Play, CA you ask? That’s for another time. Suffice to say those of us who live here are willing to say why and how we got here. We’re a friendly lot and love to share our lives with those who find us. Most of us share a commonality of starting something from scratch and finishing after years of our labor of love with blood, sweat and tears. No matter what our previous life was, be it a biochemical genius, a museum curator, alternative fuel expert or a federal agent (more about in another episode) there are folks from all walks of life that have now settled into their places right here in Fair Play, California – God’s Country.